This pencil case includes a front facing window for visibility and security. Also has plenty of capacity to hold all necessary school supplies while also having a sleek fit in your three ring binder! 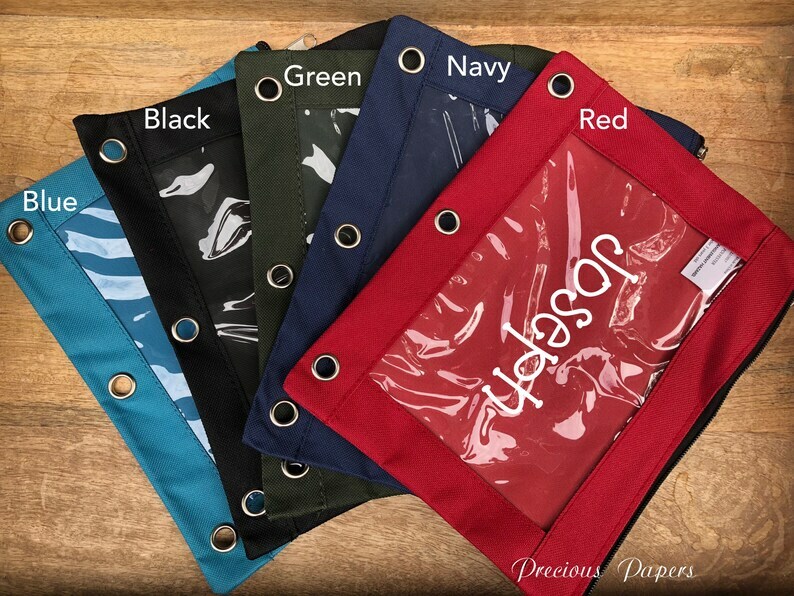 Go back to school in style with these personalized three ring binder pencil pouches. Comes in a variety of colors and several color vinyl name choices.